As most types of writing, the purpose of academic writing is to communicate the thoughts and ideas you have in your head to a piece of paper. Writing for the academe is writing for education. As a student, you don’t just write to express, you write to inform an audience or the academic community in general. Your writing is the only way into which your professors can see your thoughts. It is therefore important for you to learn how to write in a way that the reader can understand the message right away with clear points stated, and read through the whole article just to find its meaning or what it is you’re trying to convey. 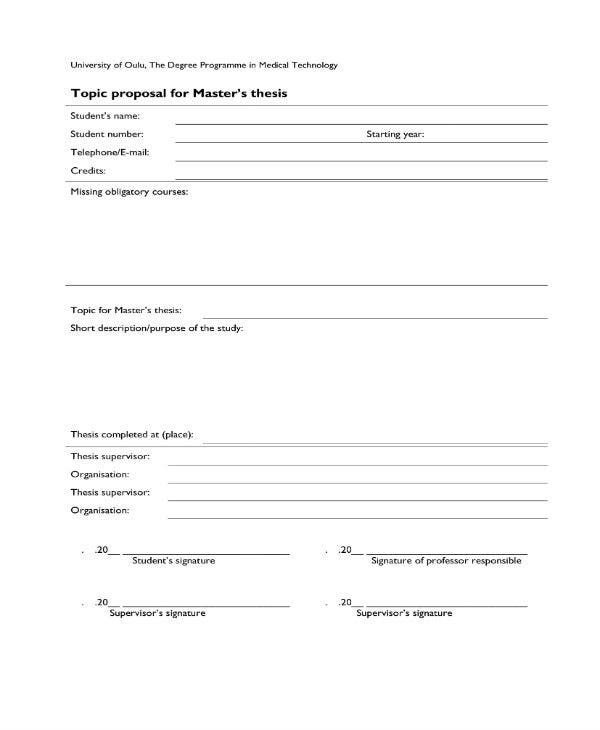 You may also see Free Outline Templates. A well-written academic paper lets the writer’s thoughts and arguments show through. Having a paper that’s too wordy but turns out to be a whole page of nonsense drivel failing to make a point drive’s one’s ability to understand into a mudslide either because of confusion or that there is no message to understand at all. Writing like that would find your paper all the way to the trash where the professor or marker thinks it belongs. According to Arthur Schopenhauer “He who writes carelessly confesses thereby at the very outset that he does not attach much importance to his own thoughts.” Not having a clear message as the result of hasty writing is not having anything to say. It could be easier when you are give free reign to choose a topic to write about. When that happens, you won’t have any excuse to give in turning in a paper that sets a clear message and meaning of your subject. You write because you have something to say about something. And you write because you also choose to say something. If your writing is muddy then it would give the reader the impression that your mind is having a hard time with thought processing, that they’re also muddy. The best way through being able to write a product of clear thinking is writing an outline first. 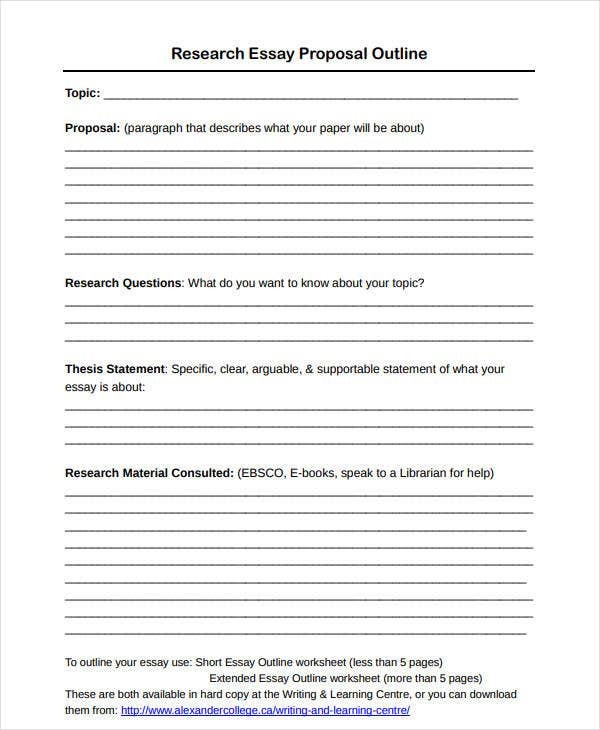 But you won’t have an outline to write if you haven’t chosen a topic, so your first task is choosing what topic to write about so that you can create a proposal about it later. 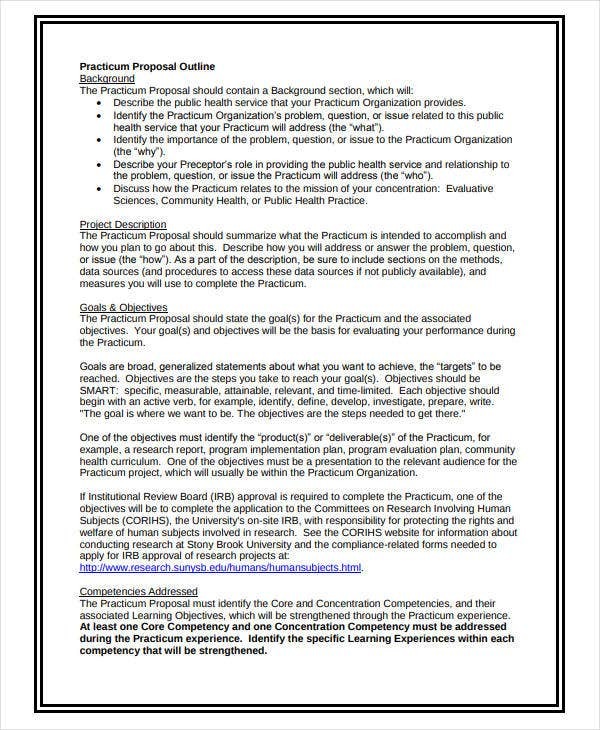 You may also see Research Project Proposal Outline Templates. Naturally, if you are interested about a topic, you also have a general idea about it, enough for you to want to tackle it more. While taking on a more challenging project could turn out successful, chances are, you would have a better outcome with something you already know about. Your writing process would then be faster but may be no less easier, although you can save a lot of time and effort on finishing touches later since you’ll be doing less research. You could get to writing your paper faster because you would already know how to approach the topic. 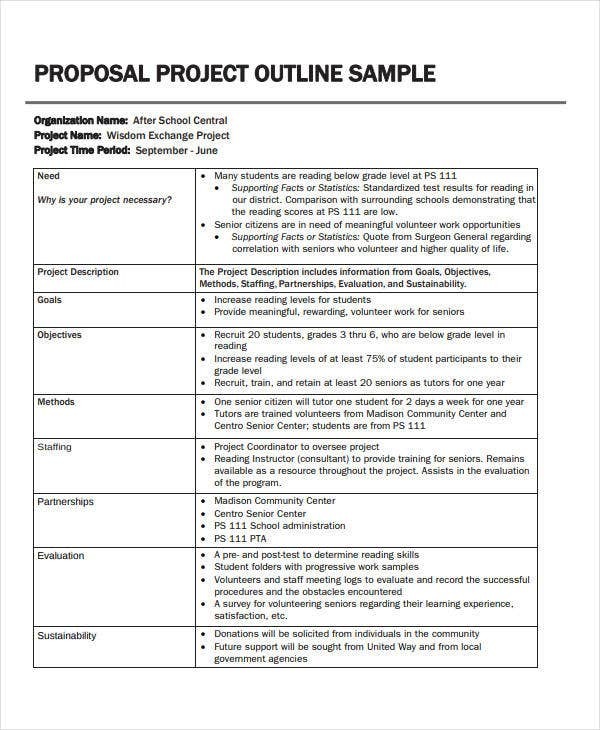 You may also see Essay Proposal Outline Templates. 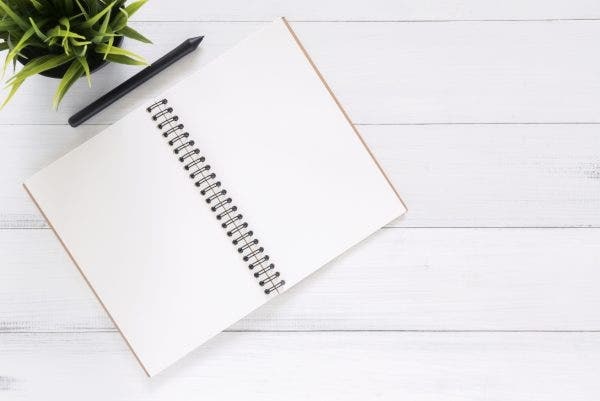 If you already have an idea regarding what you want to write about, ask yourself if it is something you will be able to discuss and explore in a limited amount of space. Your topic and the first idea that comes to mind, would always be too broad and bigger than any number of pages can ever do justice with. Continue to refine your topic until it becomes more focused and manageable. For example, in a proposal for literature class literary analysis, the topic “The Works of Virginia Woolf” is not a challenge you want to take on unless you’re ready to write a 500-page manuscript. Instead, you could try exploring what you can do with “Virginia Woolf’s Literary Themes of Feminism.” You may still narrow it to a more refined version by focusing on just one or two works with feminist themes or undertones. 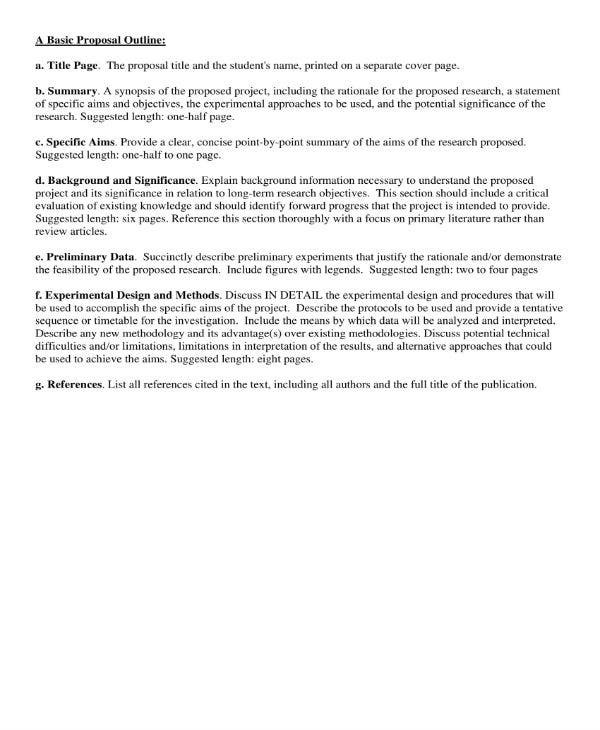 You may also see Research Proposal Outline Templates. Writing style isn’t the deciding factor in writing about a topic or a proposal. But if you have an interesting way of approaching the topic, your writing will be more focused and it would offer more structure. 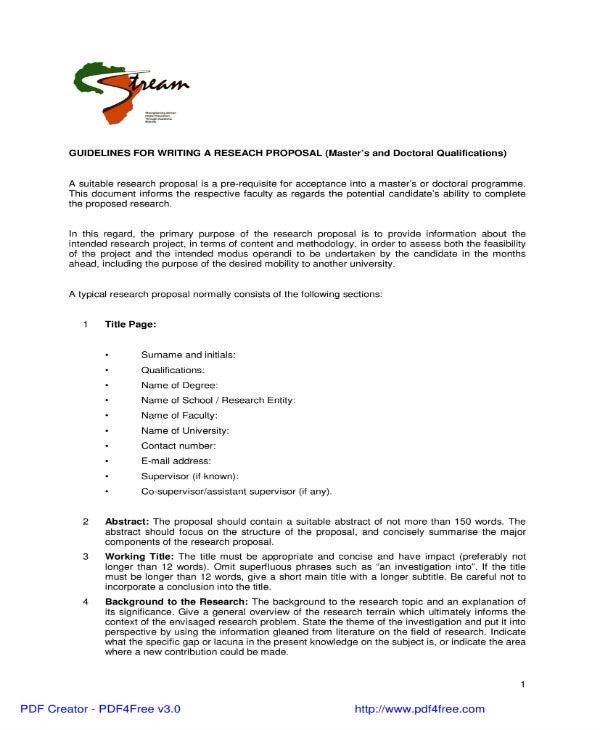 It would also help a lot in defining your actual research paper. For example a historical analysis on the changes in American society, would be far too broad to tackle. Instead, refine the topic to a specific time period or the changes in their Land Reform, Voting Rights or perhaps you can put the focus on the most defining moments in American society during the 60’s. There are a lot you can explore and the more you refine, the better your paper would be. Another example is European Football. That isn’t a topic. That’s too big. But a certain team’s tactics or football philosophy and how it threatens the opposition is something you can write about. 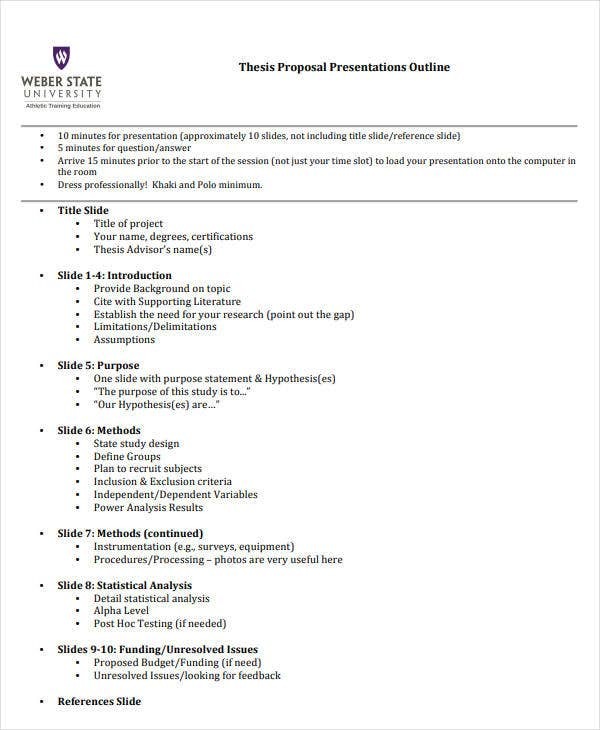 You may also check out here Thesis Proposal Outline Templates. 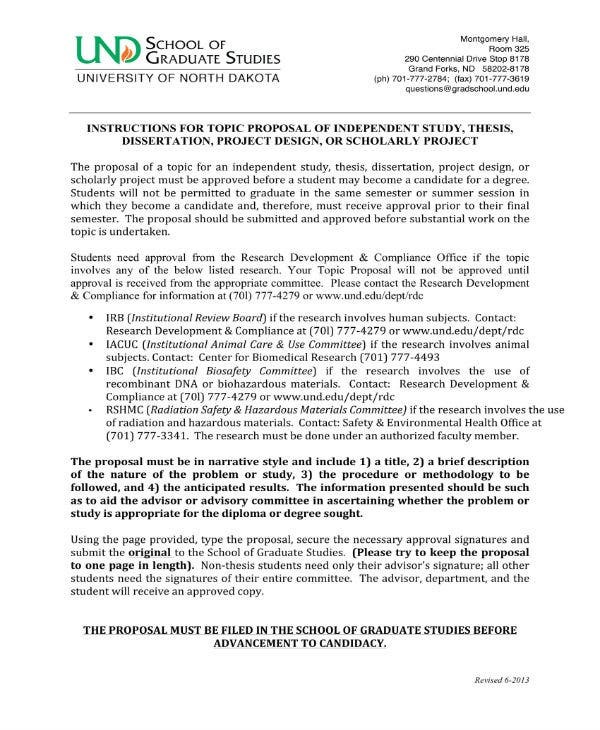 Most people who starts writing a proposal for a topic have an ultimate goal. 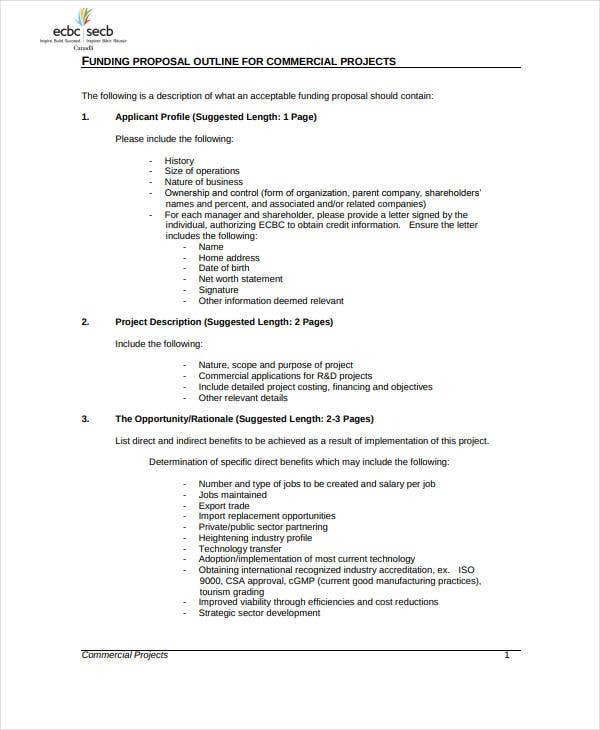 Those who are in the academe have the goal to get it approved then published. Ideally, research is written because you have an audience that would benefit from it and you may already have this audience in mind when you made a choice about what topic to write. 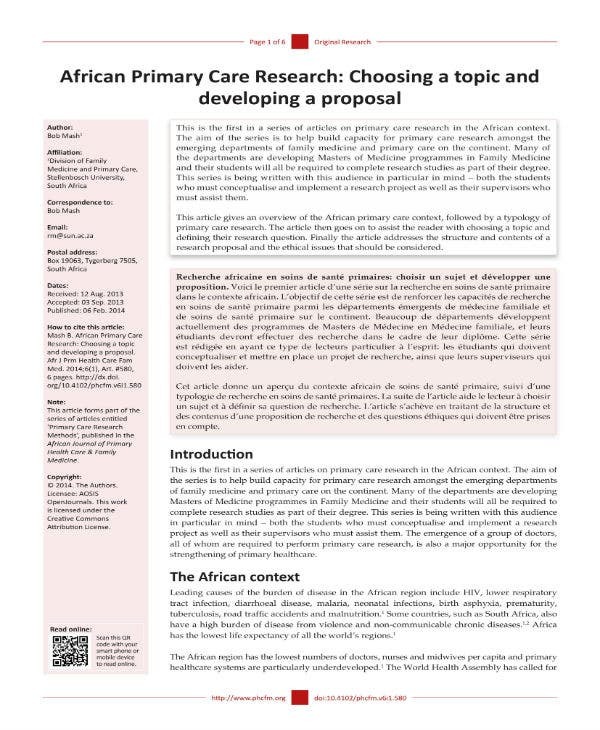 You may be passionate about a topic but what is research without an audience whose needs are should be met? You need to establish what the topic is for so that you can get your message across or whoever it should go to. What are you writing this for? Who are you writing this for? Remember that the goal of academic writing is to produce something for an intended audience or reader. 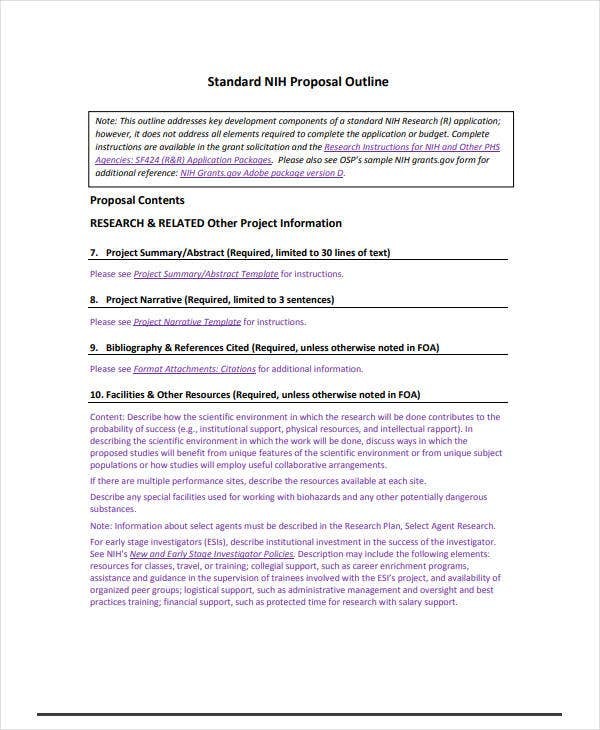 Furthermore, a research topic or even a proposal that doesn’t interest anyone would find it hard to receive funding to push through and be conducted. Make sure it counts. 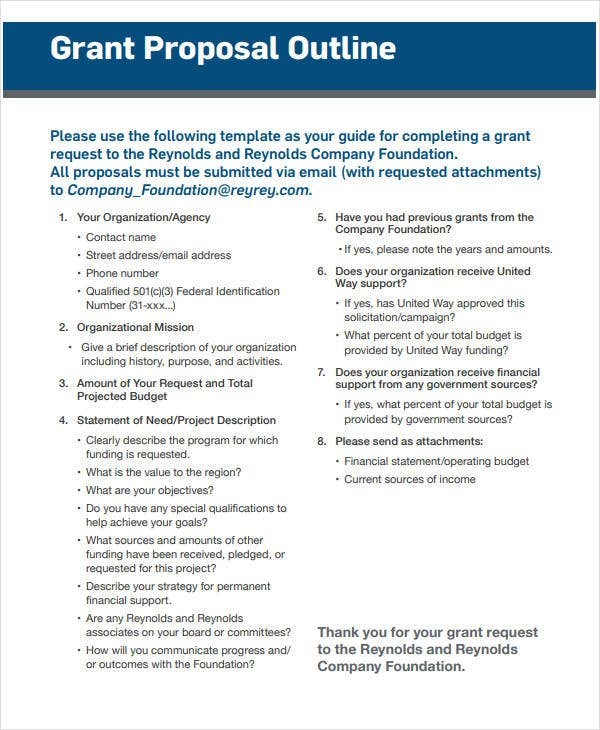 You may also see Informal Outline Templates.